While gas prices haven’t pushed the $5 mark in almost a decade, nobody wants to spend more on gas than they have to. AAA cites the average price of gas was $2.85 September this year. We could limit our trips, car pool, use public transportation, or many other things to lower the amount of money we pay for fuel but, we are famous for our mobility. America is a country of drivers. As a nation, Americans love to drive putting an average of 13,474 miles on the roads ever year according to Motley Fool contributor Matthew DiLallo. The U.S. Federal Highway Administration says the average American drives 13,476 miles every year. With Wyoming leading the 50 states in miles driven 22,306 per driver at an annual cost of $1,917.34 (second highest) per year. Those trips to the gas pump really do add up, so how do we keep fuel costs from taking such a large bite out of our wallet? Trucking companies and others in the transportation industry know one of the keys to maximizing fuel efficiency is to keep the trucks in good top working condition. According to Fleet Hall of Fame inductee and Over The Road Truck blogger, Mike Antich, the 2019 forecast is filled with corporate strategies to procure the most fuel efficient and task specific vehicles to add to their fleets. Aging fleets can seriously impact the bottom line in several ways fuel consumption ranking at the top along with deprecation. While no one can change deprecation, we can take a hint from the transportation industry. The professionals and well informed “DYI-ers” can use diagnostic tools to help pin-point the perfect ratio of oxygen to fuel, timing lights to adjust the spark plug firing, and aftermarket modifications (mods as those in the know call them), to alter the vehicles default settings. Some states have statutes limiting aftermarket changes to the fuel/oxygen ratio. Be sure you are up to date on your training and states’ emission laws before you make any modifications. However, there are simple steps professional drivers as well as average commuters can take to improve fuel efficiency. Most of the remedies for poor fuel consumption are basic. Don’t run the A/C at full blast on every trip, cut back on auxiliary items such as navigation systems and refrigerators, ensure your gas cap seals tightly, and most importantly: slow down. 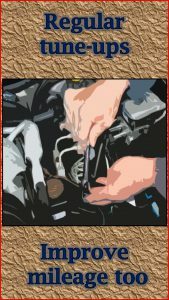 Another overlooked fuel saver is the basic tune up. Keeping your vehicle in top shape can boost fuel efficiency. You can take your car in to a professional or you can do the job yourself. Be sure you have the basic tools for the job: socket set, screwdrivers, and ratchet are items most people already have on hand. 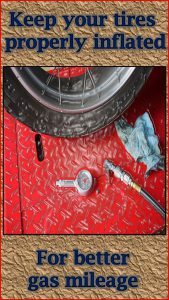 Other, not so common items you may need are a spark plug gap tool, spark plug socket, collapsible magnet, tire gauge, and tread tool (tires are a part of the tune up too). Don’t forget electrical grease and your camera. The electrical grease keeps contacts from rusting and lets the electricity flow. Use your camera to take before and after pictures to be sure you put everything back in the right place the right way. Don’t overlook your cars owners manual. It’s a great resource to guide your tune up. Another excellent resource is YouTube. Yes, YouTube. This is a great way to brush up on your tune up skills and learn the latest in car maintenance. Try searching for videos using the term ‘Hypermiling’. Hypermiling is the latest slang term denoting all the ways to keep your fuel efficiency up and costs down. However, the same basic rules still apply: keeping it simple is the best way to improve your autos performance. Bear in mind there are plenty of fuel saving myths out there too. Some of the myths such as buying gas when it’s cooler so you get more are theoretically correct but don’t work in practice. According to Consumer Reports, most fuel stations store fuel underground which results in only small fluctuations in temperature no matter what the temperature is on the surface. They also have found that Low Rolling Resistance tires may save a small amount on fuel, however, keeping the tires properly inflated will make up the difference. They suggest buying good, all around tires. 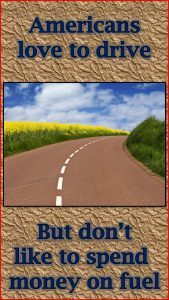 To truly maximize efficient fuel consumption, though, improve your driving habits. Reduce your speed, keep your vehicle tuned, and tires properly inflated. These simple steps will keep more money in your pocket without taking away your American love of the open road.